but rather by focusing on my internal challenges." I'm taking a break from reviewing professional development books for teachers of ELLs to bring you another post about teaching in a country outside the U.S. 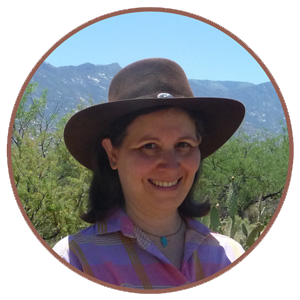 This week's guest post is written by Danielle Lawne, from TpT store Build Your own History. 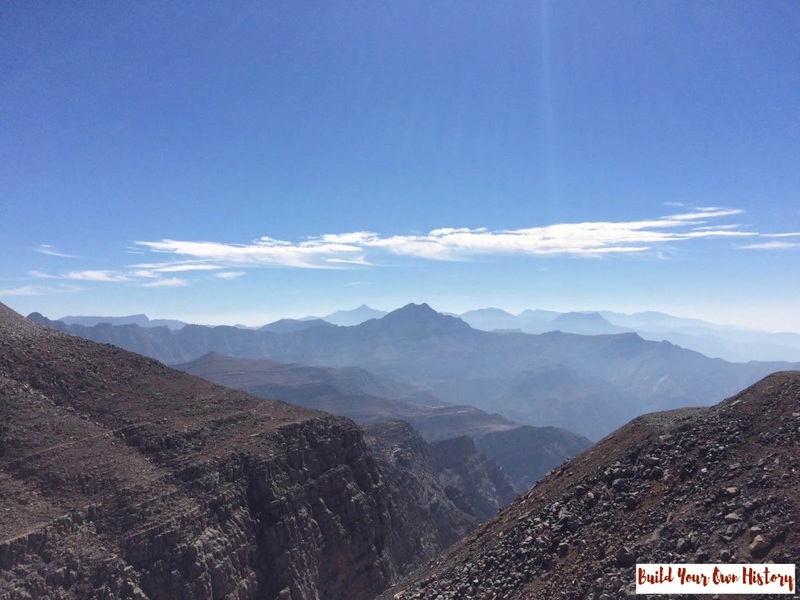 As Ramadan has just ended, I think it's fitting that today's post is about working in an Arab country. 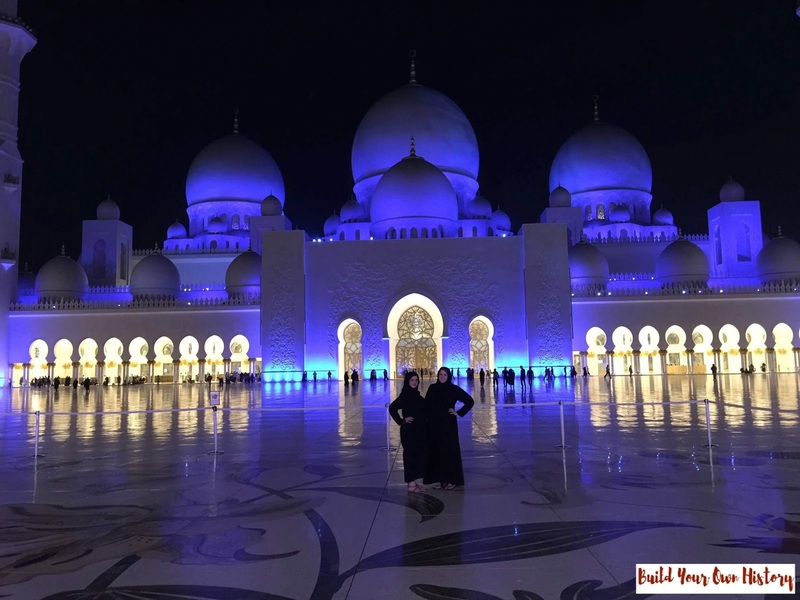 Danielle is currently teaching middle school social studies in Abu Dhabi, one of the United Arab Emirates. There is a public (government) school system, but most students attend private "international" schools that follow the curriculum for the country that school is from. The most popular international curriculums are the British and American systems, though there are schools that follow French, German, Australian, Pakistani and many other curriculums. School starts around 8:00am and ends anywhere from 12:00 – 4:00pm depending on the age group and school. Every school requires students to take core classes in English as well as Islamic Studies, Arabic Language, and Arabic Social Studies, which are all taught in Arabic. Of course, there are a lot of non-Arabic speaking students, so we have to provide remedial or introductory classes for that language also. I teach in a private, all girls school that follows an American curriculum. In my time here I have taught Grades 1, 4, 5, 6, 7, 8, and 9. I currently teach Social Studies to students in Grades 8-9 (ages 12-14). Because I work at an American school we follow an American school calendar. The year starts in September and ends in June. Holidays fall in December/January and again in March/April, and typically match up with American winter and spring breaks. We also recognize Islamic holidays, which follow a lunar calendar, and UAE national holidays which are fixed throughout the year. For example, I know that December 2nd is UAE National Day and we can usually expect a day off school to celebrate. Private schools follow the curriculum of the country they represent but all schools are governed by the education council for the emirate. 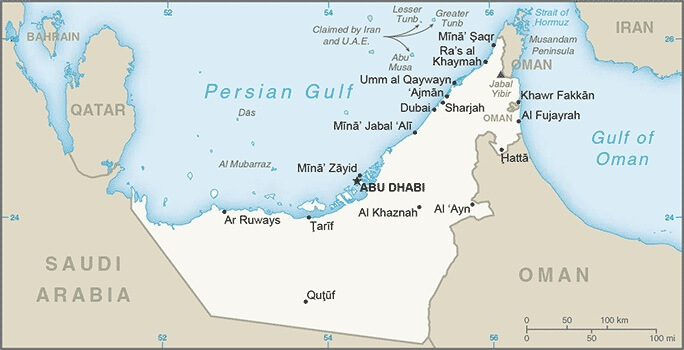 For example, Abu Dhabi is managed by ADEC, Dubai is managed by KDHA, and so on. There are 7 emirates and 7 different governing bodies plus a wider Ministry of Education. You can find out more HERE. Where I teach, all core subjects and special classes (art, computer, PE, etc.) are taught in English. Most, if not all, students are not native English speakers. Students must pass a basic entrance exam before being admitted, if they have not been in our school from kindergarten. All core subjects and special class (art, computer skills, physical education…) are taught in English in my school. Most, if not all, students are not native English speakers. Students must pass a basic admissions exam before being accepted if they have not been in our school from kindergarten. As a grade 8 and 9 English Social Studies teacher my curriculum covers American history from colonization to the Cold War. There are some topics that are considered insensitive so I have learned how to adapt my curriculum to the cultural expectations of the UAE. My biggest struggle with teaching American history is getting students to make connections between what we are learning and their culture and history. Often, they will understand events in context but may not be able to relate those events or trends to their own lives. 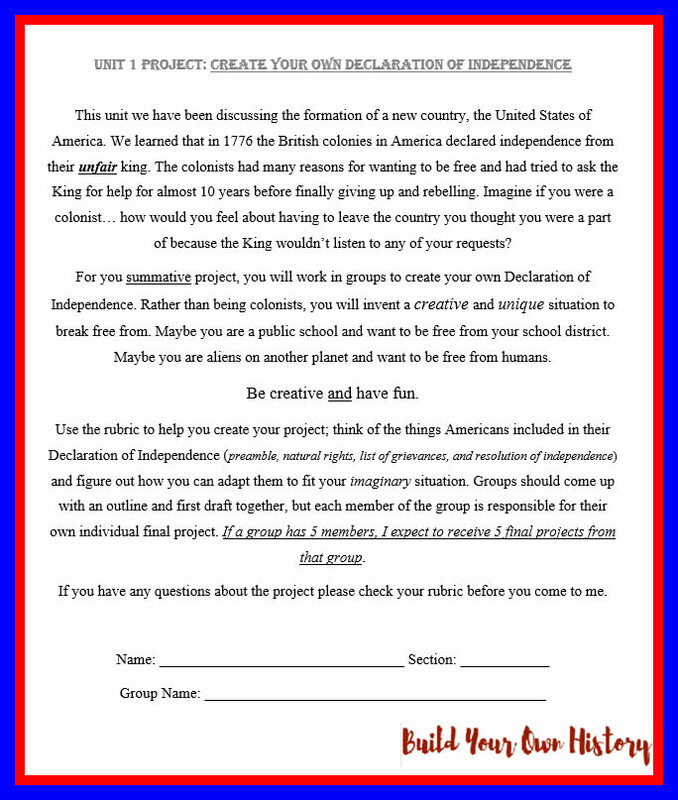 One activity that I use in grade 8 to encourage my students to be more engaged in the topics is my Create Your Own Declaration of Independence project, which is a great way to wrap up learning about the American Revolution. Not only do students have to show an understanding of the themes and effects of the Revolution, but they also have to be able to create a unique example of one group declaring independence from another. In the past I have had celebrities declaring independence from paparazzi and werewolves declaring independence from the moon. Obviously, I teach my subject in my students’ second language. My students rely on me to explain information in a way that is easy for them to understand. To do this I make sure that every piece of information they read is modified for their level of English. We do not use a textbook in my class but rather they create their own textbook throughout the year in the form of an interactive notebook. I try, as much as possible, to use my content to practice skills like analyzing and interpreting information, making connections, and forming opinions. As I said before, all core classes are taught in English in my school. That means, technically, all of those classes are “ESL” classes. Many of our students have a strong grasp on the English language and have been learning it since kindergarten, or at least elementary school. Some may be stronger with spoken English than written English, but as teachers it is our job to accommodate for the varying needs of our students. Each lesson is 40-45 minutes long and has, on average, 25 students. In the middle and high school students have 6 periods scheduled for English Language Arts class, which follows the American Common Core standards. In Social Studies, we do a lot of document analysis as a way for students to learn content-based English. We use primary sources like speeches, letters, and political cartoons and the students really dig into the documents. I always have dictionaries and thesauruses on hand for my students so they can be as independent as possible when using a document. Analyzing primary sources can be difficult for many students, especially when it comes to interpreting the language. 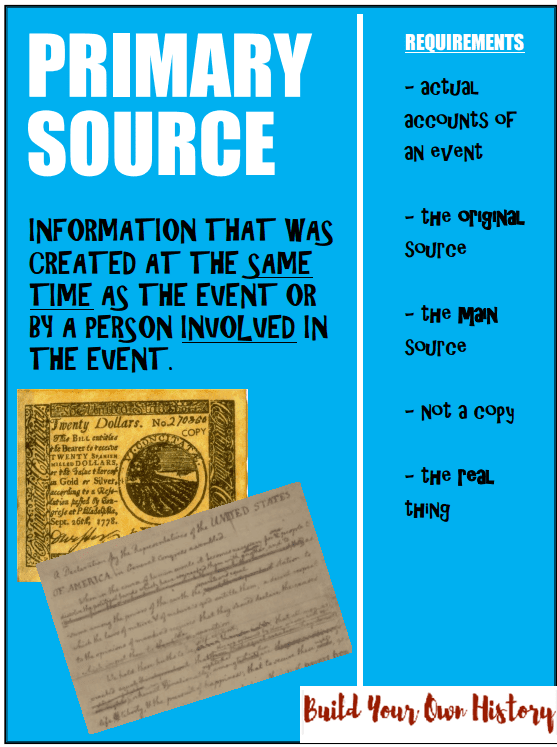 I encourage my students to use my free Primary Sources Poster as a reference tool for when we are identifying primary or secondary sources prior to analysis. Classroom teachers in elementary school teach all core subjects to their one homeroom class. To teach elementary school, you should have a Bachelor's of Education. Schools here will not accept just a TEFL or TESOL certification, you should be a qualified teacher in your home country. For middle and high school, you should have a degree in the subject you teach. Core subject teachers should be native English speakers, but each school has its own requirements. To be an English Language Arts teacher, you should be a native English speaker. Remedial or ESL teachers can be a part of the English department, or sometimes have their own ESL department that is utilized for all grade levels. What tests are required depends on the school. All schools have their own assessment policies for each subject area. In my school, we have final exams at the end of Term 1 and Term 3. My school is very focused on engaging the students in their curriculum. While we do some required tests throughout the year, a lot of my assessment is performance based rather than just test taking. As far as standardized testing, American schools use MAP, AP, and SAT testing while British schools follow the GSCE and A-Levels path. Public schools take the EMSA (External Measure of Student Achievement) test annually starting in grade 3. The same way each international school follows their home country’s curriculum, they follow their home country’s standardized testing policy. There are a lot of things we can't teach or talk about here due to the culture and religion, but I have learned to adapt and accept that I am a guest in this country and, therefore, have to respect their customs. As an American, it is nice to work at a school with a curriculum I am familiar with. Teaching in English to non-native speakers is always a challenge but over time you learn to adapt to the needs of the students, language-wise and also culturally. Although there are some difficulties we have to overcome, like language barriers, working in the UAE is a once in a lifetime experience. UAE is a perfect starting off point for travel to Europe, Asia, or Africa. The lifestyle in the UAE is amazing and we have countless opportunities for events, concerts, sports, etc. The weather is perfect for 8 months of the year and many teachers spend their weekends at the beaches and pools around the country. I have met so many people from all over the world here. Some of them are here for a short time to save money and travel, some of them have made their lives here and have no plan to leave! 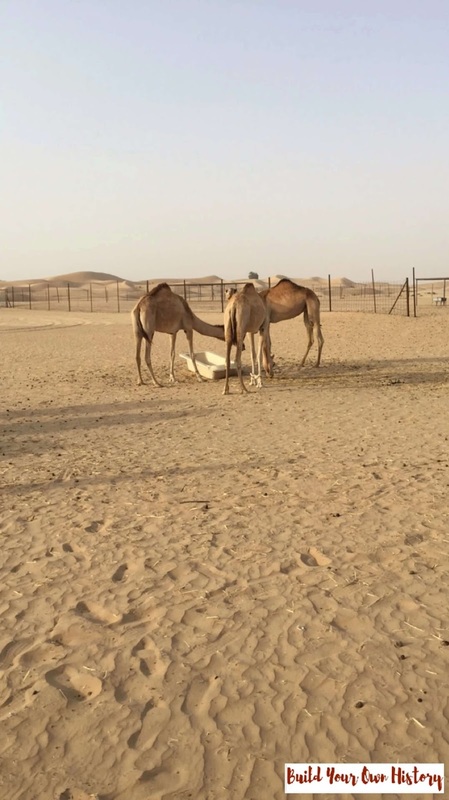 Thank you, Danielle, for sharing your thoughts on what it's like to teach in Abu Dhabi in the United Arab Emirates. I really like how you've made teaching about the American Revolution fit your local cultural context, given that it's a topic that can be tricky to teach in other parts of the world, especially the Middle East. You can find lots more ideas for teaching social studies in Danielle's TpT store Build Your Own History. You can find more posts in this series by clicking on these links to read about education in: Bulgaria, British Columbia (Canada), New Zealand, Australia, Morocco, Sweden, England, United Arab Emirates, Scotland, Quebec (Canada), and South Africa.